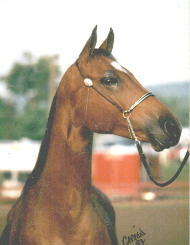 Kalees Zinfandel is a National Showhorse gelding who competes in Halter and Hunt. 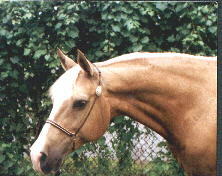 Palomino Gelding. 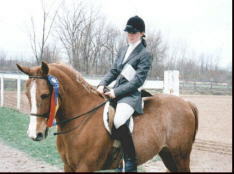 He has competed in a variety of classes including halter, hunt, and native costume. Odenn is a Purebred Arabian by Sundaaze Shadow and out of Naborrs Affinity. 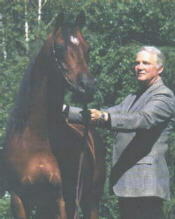 Odenn has successfully competed in western pleasure and native costume. He is just as much at home on the Trail, as he is in the Show Ring. Proudly owned by Mark Bellave of Rochester, NY. 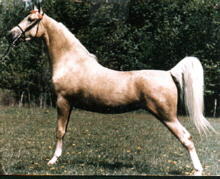 Ambers Golden Honey is a Palomino American Saddlebred. Honey is 15 years old and holds numerous halter titles in Palomino competition and has also shown in Saddlebred competition. Honey is owned by Teri Hill of Frisco, Texas. This is Taragon (Aaries x Wonder Babe). 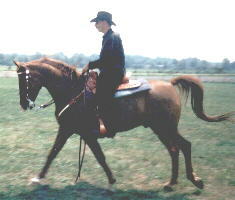 Affectionately known as "Winston", this Half-Arab Gelding is proudly owned by Dawn Wedgwood of Rochester, NY. Among his many accomplishments is that of being being the 1997 AHANY unrated English Champion.